Matthew RJ Brodsky joins Frank Gaffney on Secure Freedom Radio to discuss his latest articles published in the National Review, "The North Korean Axis of Middle East Proliferation" and the Jerusalem Post, "Going MAD is Not the Answer to North Korea." 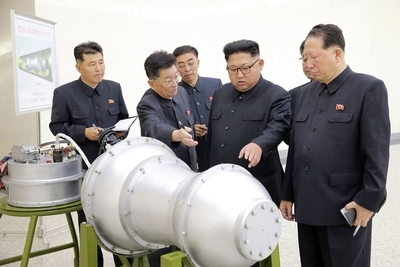 Brodsky describes the nature of the Kim regime and the problems with deterring North Korea. Brodsky also explains how North Korea has had longstanding strategic cooperation agreements with Iran and Syria when it comes to weapons and nuclear technology. How the Trump administration handles the challenge in Pyongyang will have major implications for how Tehran responds to additional U.S. pressure.